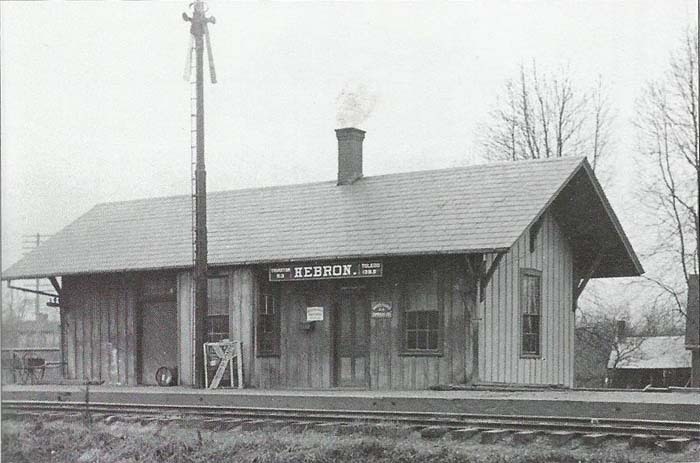 Hebron was located on the New York Central Railroad (T&OC - Eastern Branch) between Granville to the north and Millersport to the south. The Eastern Branch ran from Toledo to Thurston. Hebron was also an important location for the Columbus Newark & Zanesville Traction Co. an interurban line. 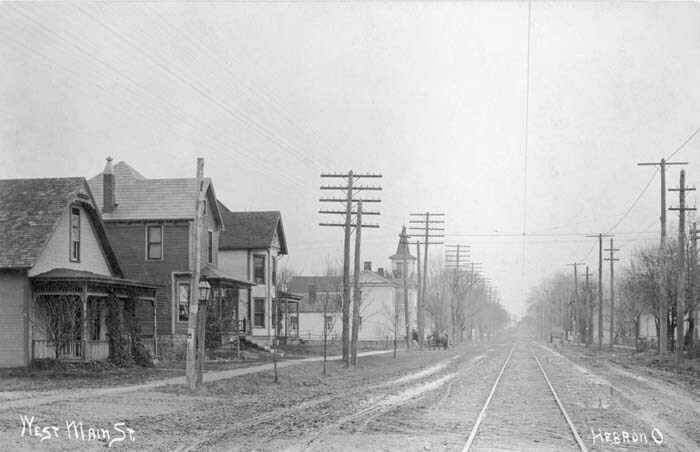 It was at Hebron that the branch to Buckeye Lake left the mainline. 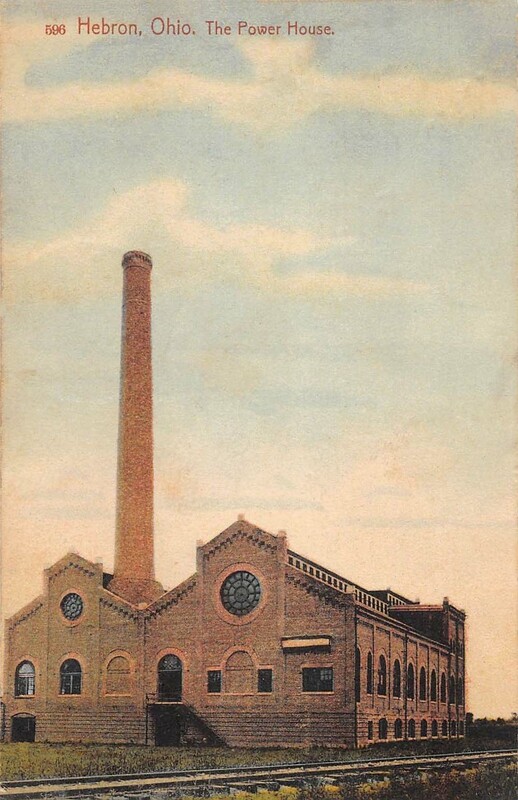 There was also a CN&Z power house at Hebron. The sleepy T&OC depot at Hebron. 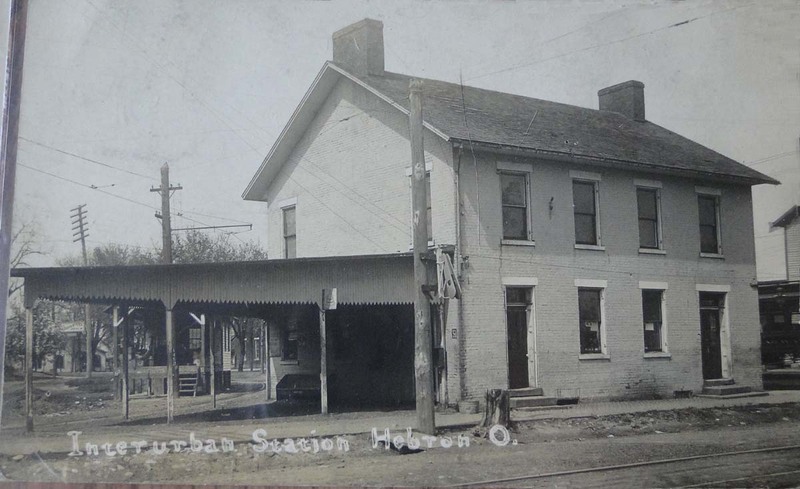 The interurban must have taken business from the steam railroad, especially passenger business, when it came to Hebron in 1902. The camera is looking east down Main Street. The church on the left also appears in the last photo below. 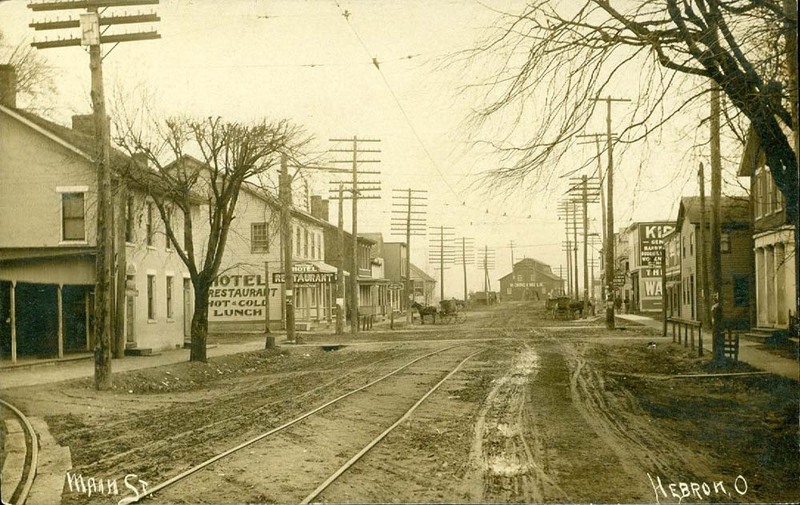 A shot taken further east on Main Street. 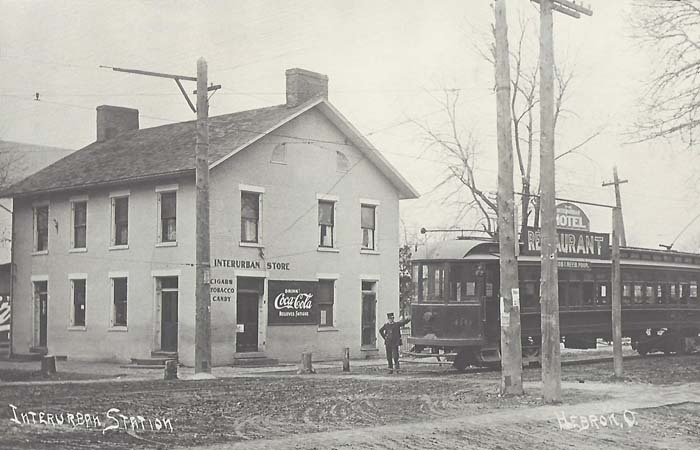 The interurban station is on the left. The track curving to the left, in the lower left corner, goes to Newark. The track curving to the right at the intersection is headed toward Buckeye Lake. There are tracks on both sides of the station. A freight house can be seen through the passenger canopy. The east side of the depot with interurban No. 69 headed for Buckeye Lake. 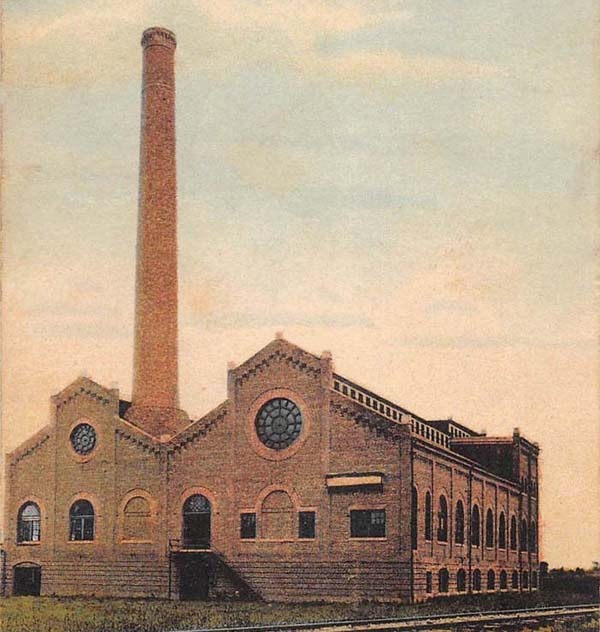 The CN&Z power house which was on the south side of Hebron. 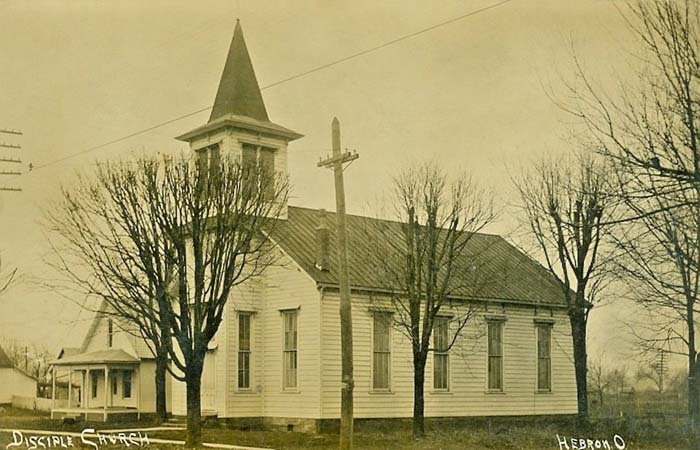 The church that was seen in the first street view photo. It’s still there in 2019 with additions added to both sides of the building.